Flawlessly constructed with luxe, top-grain leather, the Olive Alpine Formal Briefcase was created for those who have an appreciation for design while seeking the ruggedness of the outdoors. Simple and elegant on the outside, while spacious and versatile on the inside. 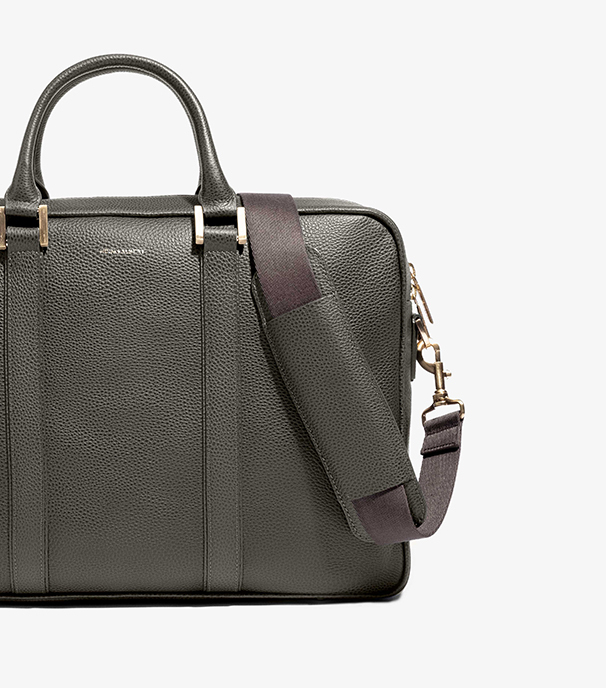 Our formal briefcase is made from top grain matte pebbled leather. 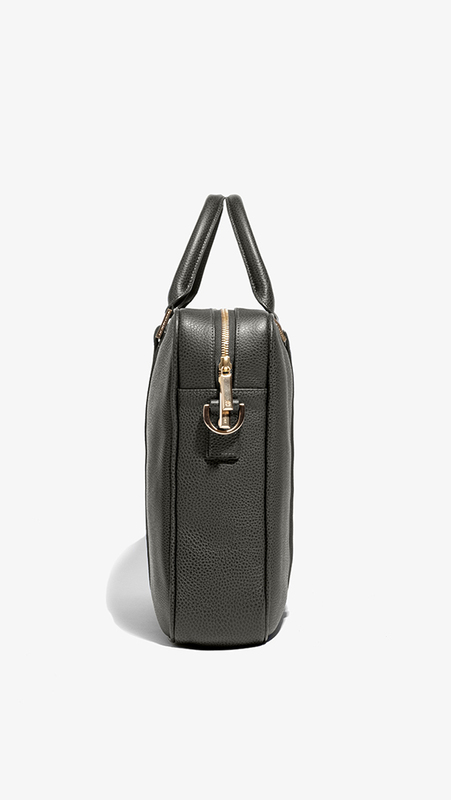 The handles are made with top grain smooth leather, which mirrors the smooth leather accents that drape the front and back of the bag. The shell is made of top-grain pebbled leather in a beautiful olive patina. A part of our Alpine Limited Collection.